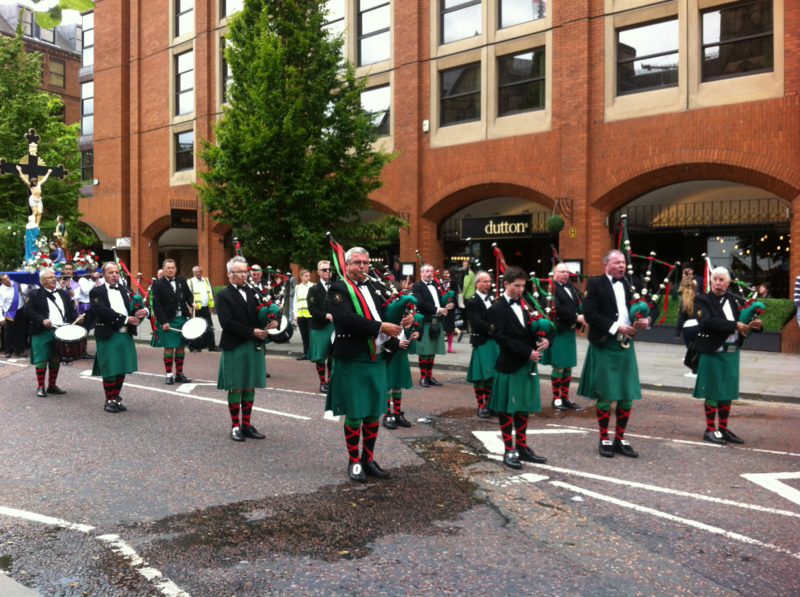 A pipe band with its roots firmly seated in its proud Irish heritage, passed down over several generations of Irish immigration to Manchester and the North West. From the Fianna Phádraig Pipe Band collection. Since its very beginnings, the Band has proudly boasted its Irish origins. 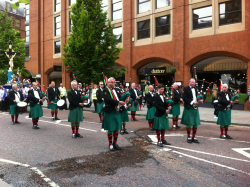 The vast majority of the pipers and drummers are of Irish descent, mainly second and third generation Irishmen, holding high their cultural mix of Irish and English so typical of the post-immigrant Irish community in Manchester and the North West. Initially known as St. John's Pipe Band, the Band has always marched under the Fianna Pádraig banner. 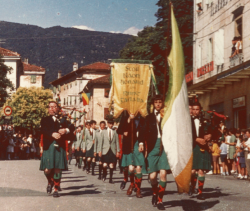 In the mid-fifties, following the move to St. Anthony's and in recognition of both its origins at St. John's and its heritage as Followers of St. Patrick, the Band finally became known to one and all as the Fianna Phádraig Pipe Band. 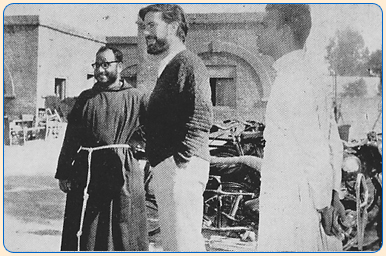 © St. Francis' School, Amritsar. Permission pending.But when did Pádraig become Phádraig? We don't know for sure. What we do know is that Phádraig is the genitive or possessive form of Pádraig. We also know that Pipe Major Terry Dowling's brother, Austin, known to all as Father Tim, was, amongst many other things, a learned scholar of Gaelic. It stands to reason that Father Tim, seeing the original banner, should suggest that we adopt the more grammatically correct "Fianna Phádraig". Fact or Fiction? Who knows? The truth is that this explanation is as plausible as any other and perhaps more fitting than most! So, by the mid to late fifties, the Band had a new home, a new name and even a few minor changes to the uniform, the broth cast aside and the cravat giving way to a bow tie or 'dickie-bow" as it is affectionately known, but one thing has never changed throughout the Band's 65 years and more: the green kilt. The green kilt symbolises the Fianna Phádraig Pipe Band. It illustrates the Band's Irishness, it represents continuity in the Band's long history and it provides a clear visual identity in a piping world largely clad in tartan. The Wearing of the Green and God Save Ireland!